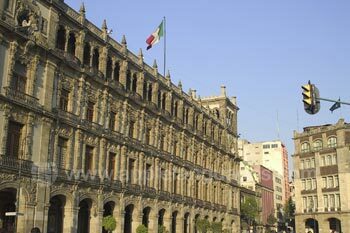 Mexico’s capital is a bustling city, full of life and colour! 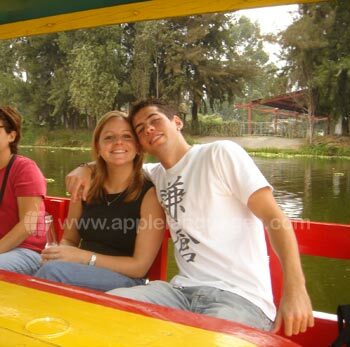 Learn Spanish in Mexico City and you’ll experience the authentic Mexico. 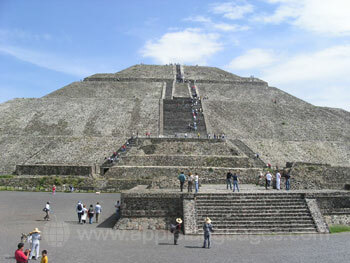 Away from our school, see magnificent palaces, fiestas in full swing and epic Aztec monuments! 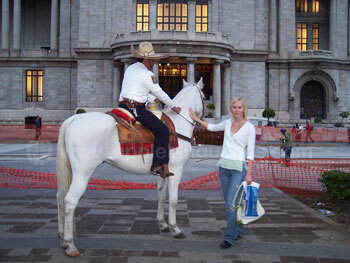 Taking a Spanish course in Mexico City, you can practice your Spanish with the locals as you absorb the vibrant culture. Order delicious Mexican cuisine in fine restaurants, chat with Mexicans in lively bars, or even haggle with the market traders! Mexico City is an exciting city, where you’ll always have something to do, but it’s also a great base from which to explore the rest of Mexico. 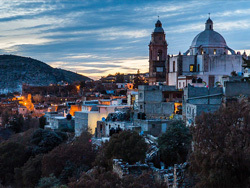 Located in the middle of the country, Mexico City is within reach of Cuernavaca, Oaxaca, Acapulco and other great locations! Our school enjoys a great location in a popular part of the city. It’s just a short walk away from fine restaurants, fashionable bars and great shops. 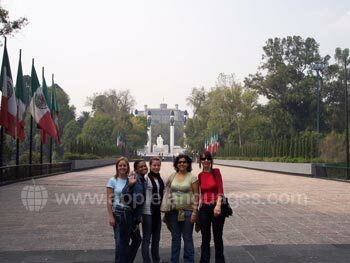 Also nearby are the majestic Castle of Chapultepec and verdant parklands. To discover the rest of the city after your Spanish lessons, just jump on the metro or the metrobus, both of which stop close by the school. The school itself is housed in an attractive colonial building, which includes six classrooms, a well-equipped computer room, a study, coffee room and kitchen for culinary classes. 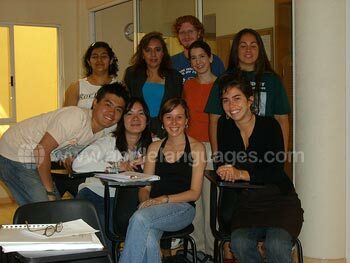 All of our teachers are native Mexicans, with many years experience teaching Spanish as a foreign language. The teachers and staff are very friendly, creating a relaxed atmosphere for your studies. 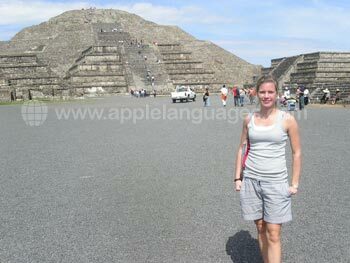 To leave plenty of time free for sightseeing, take our school’s Intensive Course of 20 Spanish lessons each week. The Super Intensive Course gives you 30 group Spanish lessons per week. You can also choose to take a combination of 20 group lessons and 10 Private Lessons each week. If you want to learn Spanish in Mexico City with a programme consisting entirely of one-to-one tuition, our school’s Private Lessons course is ideal! Volunteering opportunities are also available through the school. A variety of Volunteer Work runs throughout the year, including street children projects and teaching assistant work. Volunteer Work is a fantastic way to get to know Mexican people and develop your understanding of Spanish! To use your Spanish in practical situations, let our school arrange Work Experience with a Mexican company for you. After studying at the school for at least a month, begin your placement, which can last for anything from six weeks up to a year. You can work in industries ranging from tourism to care work, IT to environmental conservation. With our school you can enjoy the convenience of living on the same site where your Spanish lessons are held! Each room at our school’s on-site residence has its own bathroom, kitchen, TV and Internet access. Share one of the well-furnished rooms with up to three other students, or have a private room instead. 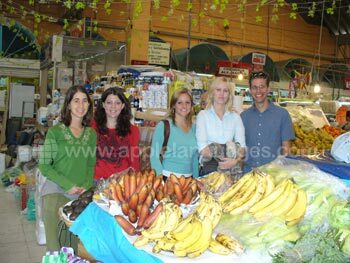 To become totally immersed in the Spanish language and Mexican culture, live with a local host family! Our school selects only the most welcoming families, who will speak to you in Spanish, helping you to improve your language skills through practice. If you’d prefer to live with younger people, our school can arrange single and double rooms in both student residences (with Mexican students) and shared apartments. This option gives you the opportunity to meet and socialise with people from all over the world! Make great friends on the school’s organised leisure program! First of all, there will usually be a welcome party at the school, helping you get to know your fellow students. Join teachers and students on evenings spent exploring the nightlife in this most lively of cities! Trips to see the Aztec pyramids, watching Mexican films and visiting museums will give you a glimpse of Mexican history and culture. Complimentary Mexican cooking lessons are also regularly offered. 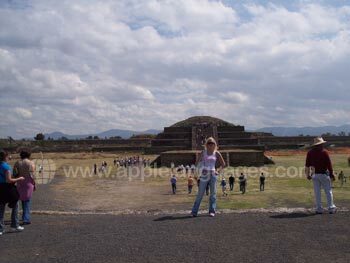 Then, at the weekends, excursions to locations outside Mexico City allow you to appreciate the true beauty of this wondrous country! 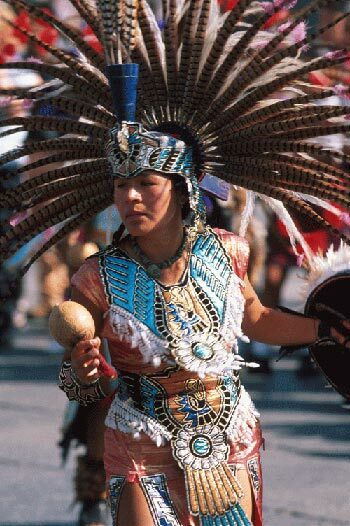 Glimpse the indigenous culture of Oaxaca, enjoy Acapulco’s glorious beaches or witness the colonial grandeur of Guanajuato and San Miguel. 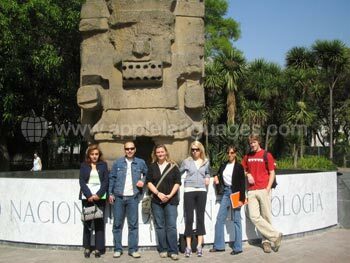 Upon your arrival at Mexico City Airport, our school will transport you to your accommodation, at a reasonable price. Average score for our school in Mexico City based on 10 previous client reviews. My course was absolutely amazing! When I walked into the school, I saw many enthusiastic faces, like my own, that was ready to learn. On the first day, I met several people from all over the world, many of whom I still speak with today. In class, the instructor not only taught us a lesson plan; but included things that were of interest to us. The wonderful thing about immersion programs, right after your lesson of the day; you get to practice what you learned with the locals. My experience was superb, and I would definitely recommend the program! From the moment I arrived at the airport, to the moment I reached my host family family, I was well taken care of. I didn’t have anything to worry about, and I felt safe and secure every step of the way. This was my first solo trip, and it helped me to learn so much about myself. I also had the opportunity to improve in my target language, but most importantly to learn about a new culture. Very relaxed and friendly and easy to learn environment. I very much enjoyed the course. I stayed at the school and thought that the apartment was very nice. I had a more than wonderful experience in Mexico City. I hope to return for more classes for more than one week very soon!